Tanya Rae is having a wonderful Giveaway! You can enter to win 24 Fall/Halloween teaching resources donated by some awesome teacher bloggers so be sure to hop on over and ENTER!!! I have donated my Spider Addition with Doubles Plus 1 Matching Activity from my TpT Store but there are also 23 other teaching resources to win so click the picture above to hop on over to Tanya Rae's blog to see ALL the products and enter the giveaway. Good Luck .... I hope you win lots of products that can help your students have fun learning! I hope you are enjoying the great weather. 20% off my entire TpT store this weekend! 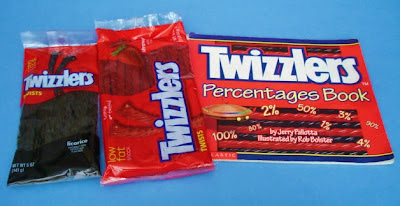 Twizzlers Percentages Book written by Jerry Pallotta and illustrated by Rob Bolster is a fun way to introduce or review percentages with children. The book is recommended for grades 2-4 but I would prefer to recommend it for grades 3-6 because of the amount of division and fractions involved. The book uses red (strawberry) and black (licorice) to illustrate common percentages but Twizzlers come in lots of colors now, so you could choose colors that coordinate with an upcoming holiday (red and green for Christmas, orange and black for Halloween, etc). 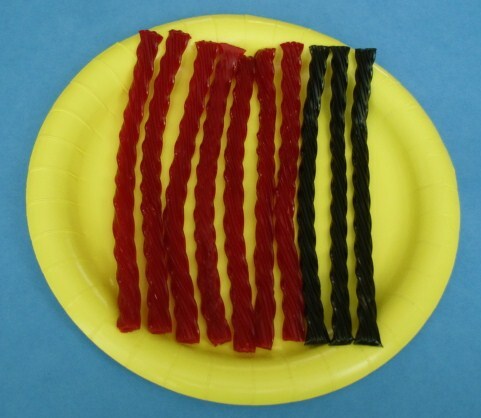 The author has lots of other fun math books which also use food to teach math. Read my post about The Hershey's Kisses Book here. Read my post about the Hershey's Milk Chocolate Book here. Have fun combining math with literature! 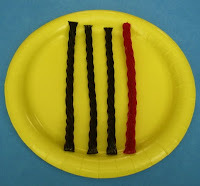 I have a fun Math Activity for the kids to use to help them develop fluency with their Addition Facts. 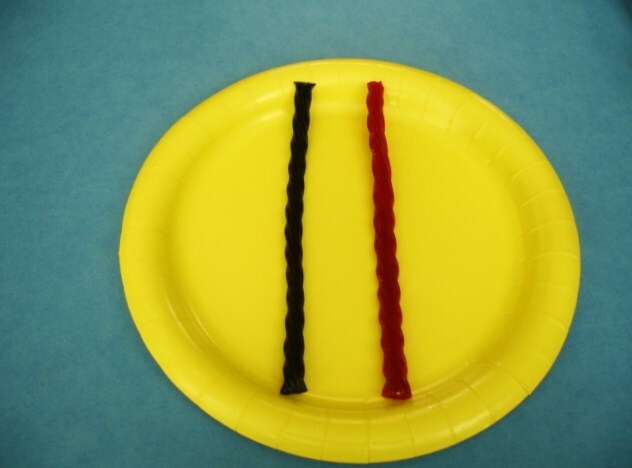 This Spooky Spider themed math activity focuses on Adding Doubles from 0+0 to 10 +10 and can be used at Halloween or any time of the year. The awesome clipart comes from Graphics From the Pond. The cards could be printed on photo paper or card stock and laminated if desired. After the cards are cut apart and mixed up, students use the cards to match the Addends with the Sum. When they have completed this task, they can record their matches on the Recording Sheet. There is also an Answer Key for students to check their work. The file contains color and grayscale cards. You can choose whichever is best for you. (Color ink is tough on the budget!) Some blank cards are also included for you to fill in your own numbers. 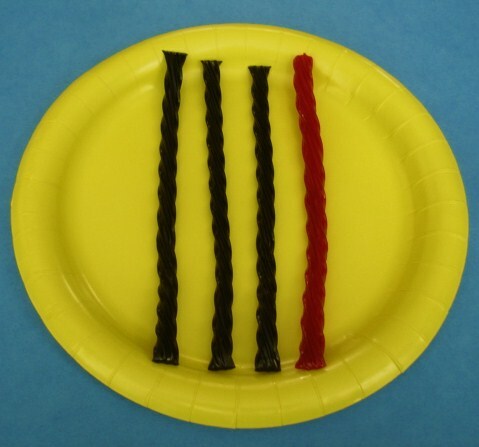 This activity aligns with the Common Core Standards for Grades 1 and 2 but is also great for Grade 3 students to use as a review. They could use the math cards to play Memory or Concentration. 1.OA.6 Add or subtract within 20, demonstrating fluency with addition and subtraction within 20. 2.OA.6 Fluently add and subtract within 20 using mental strategies. By the end of Grade 2, know from memory all the sums of two one-digit numbers. The file for this free activity can be found at my TpT store. Just click on the link below. This file can also be found at my website. Just click on the link and go to FREE Worksheets. Hope your students enjoy this activity! Latoya at Flying into First Grade is having a wonderful Giveaway! There are a total of 14 teacher bloggers participating and donating FREE materials plus Latoya is giving away a $20 Target Gift Card so be sure to hop on over and ENTER!!! I have donated Any Product of your choice from my TpT store (except a bundle). Mystery Math - A First Book of Algebra by David A. Adler is a great source to combine math and a fun, spooky holiday. It's also a great help in introducing ALGEBRA VOCABULARY to young math students. In order to use the whole book, students need to understand all 4 operations (add, subtract, multiply, and divide). The beginning of the book could be used with younger students who understand addition and subtraction. I like how the introduction compares an equation to a seesaw (both sides must be balanced). The last two lines of the book are perfect for the message of the book. "Solving mysteries is fun! Algebra helps you solve math mysteries." 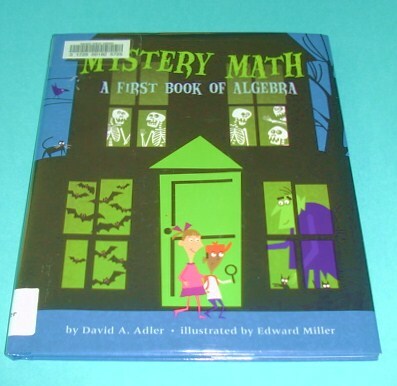 The illustrations by Edward Miller are perfect for a spooky math lesson! Also included in the book of the book is a set of directions to make a balance scale with a coat hanger and pennies so that students can clearly visualize an EQUATION. This is the perfect season to read this book about a creepy haunted house with your students! 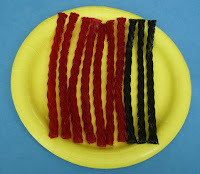 Today I have a fun little MATH Activity for the kids. It's a Friendly Ghost ODD and EVEN Sorting Activity. This FREE file can be found at my TpT store. Just click on the link below to grab your copy. If you don't have a TpT account you can download a copy of the Friendly Ghost Odd and Even Sorting Activity from my website. Just click on the link below then go to FREE Worksheets. I'm also linking this activity to the Friendly Ghost Link Up with Mel over at Graphics from the Pond.